Yukon Advanced Optics design, develop and manufacture sport optics. Their products have modern designs with the newest technologies and innovations to enhance performance. The products are made out of the finest glass and special attention to the art and physics of optic design. They manufacture spotting scopes, night vision binoculars, goggles, and riflescopes, and accessories. Yukon Advanced Optics’ night vision riflescopes are well known among hunters. The Yukon NVMT Laser 3x24 Rifle Scope is the best value and most versatile multitasking night vision riflescope. It merges a powerful 3x24 monocular with a detachable eyepiece, rifle mount and laser pointer to create a multifaceted riflescope. The adjustable laser pointer’s beam, on the riflescope, acts as a target acquisition guide to ensure precision shooting. The Titanium 1.5x42 Mini Varmint Hunter is Yukon’s most compact night vision hunting riflescope. It is very popular among hunters. It is durable with a sleek design made from titanium. The Yukon NVRS Titanium 2.5x50 Varmint Hunter is the perfect night vision rifle for the serious hunter. A long mount was constructed into its ergonomic design. This allows for more comfort during shooting while also enabling the scope to accommodate the widest range of rifles, including bolt-action styles. 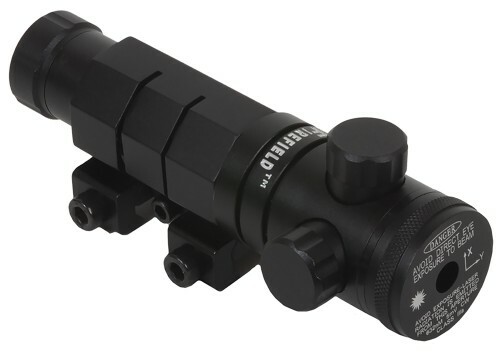 The NVRS Tactical 2.5x50 with internal focusing is Yukon Advanced Optics’ highest quality night vision riflescope. It has close focusing availability and a built-in, powerful Pulse™ infrared illuminator is easily activated to enhance image brightness and increase range in total darkness.